For the Birds | Just Shooting Memories! 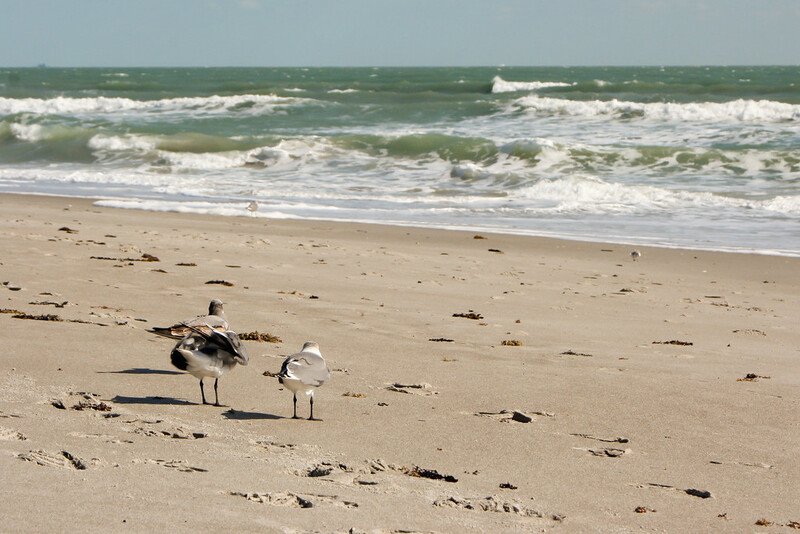 I was walking on Cocoa Beach in Florida when I ran across these seagulls. There were others that were flitting all around, but these were just standing there. I guess they were waiting on something to happen. I didn’t wait to see, but it must have been something good to get them to stop like that.